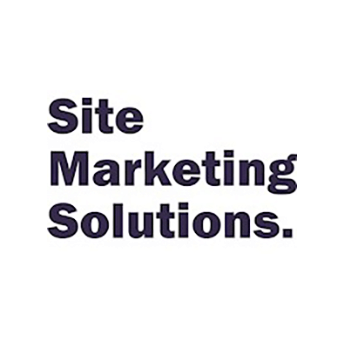 Below is a range of resources to make sure you’ve got everything you need to succeed. 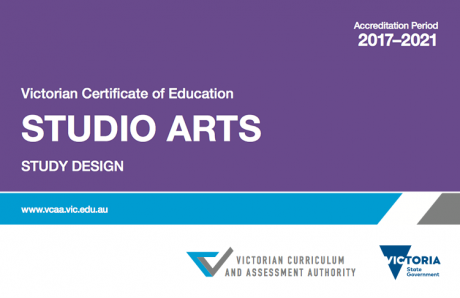 Art Education Victoria has been developing and supplying art education resources for over sixty years. 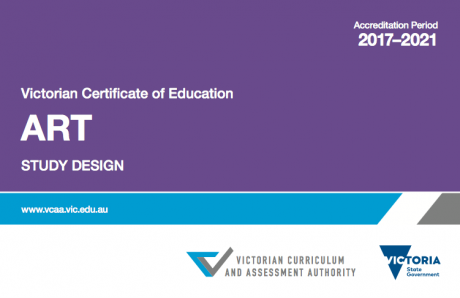 While our primary focus is the Victorian Visual Arts Curriculum, VCE Art, and VCE Studio Arts, we are passionate about STEAM learning and provide information and resources to help in Critical and Creative Thinking, Intercultural Capability, and Personal and Social Capability. Filter the resources you want to see. 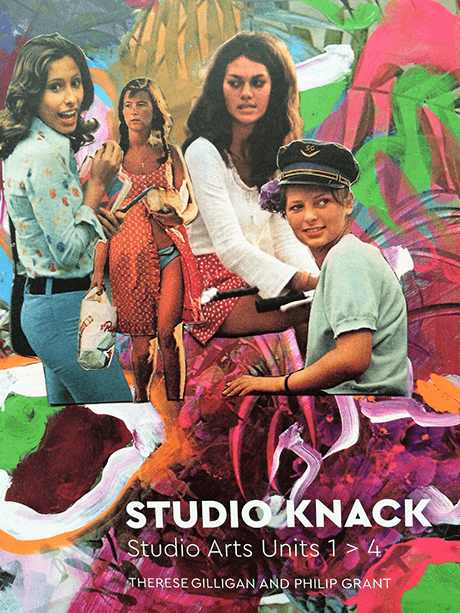 Studio Thinking promotes authentic practice in students. 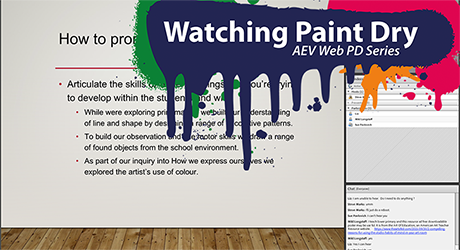 In this Watching Paint Dry session we consider how to create supportive environments that assist students in developing their creative practice. 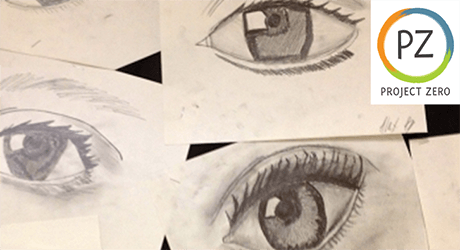 Visual literacy is the prime language of our students, but how do we support them in developing a sophisticated vocabulary? Help your students give a picture the thousand words that it deserves. 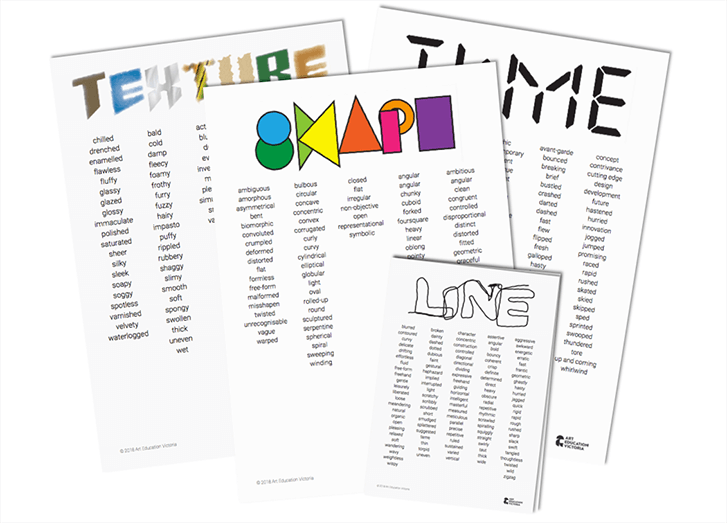 Get this resource into your art space today! 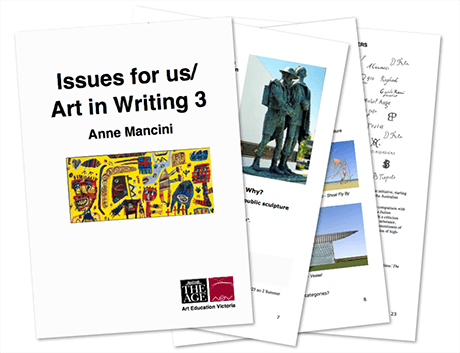 Are you wanting to improve your students ability to talk about artworks? 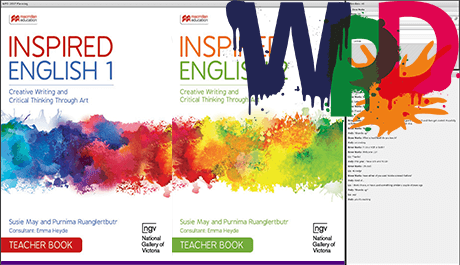 In this Watching Paint Dry work with Susie May as she demonstrates strategies as to how art can be used to build literacy skills using the Inspired English resource from Macmillan Publishers. 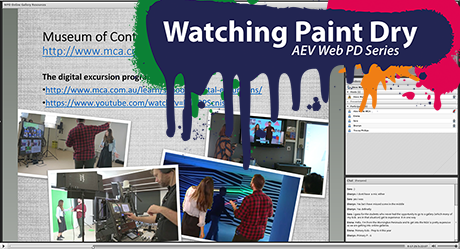 A NEW series of 10 online video lectures responding to the 2017-2021 VCE Studio Arts Study Design Units 3 & 4. 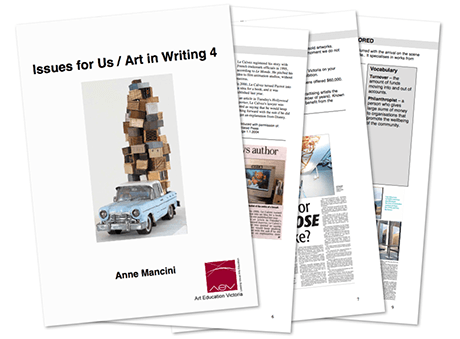 Each lecture covers an individual Unit of Work such as Writing and Exploration Proposal, The Annotation of Art, Exhibition Review, Galleries and more. 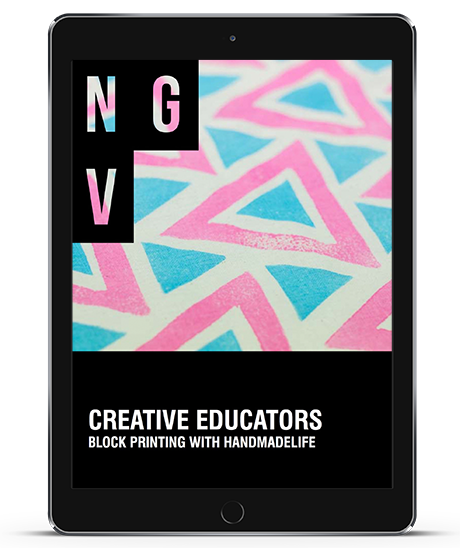 NEW Full colour textbook for VCE Studio Arts Units 1 >4 written by 4cats Education authors Therese Gilligan & Philip Grant. 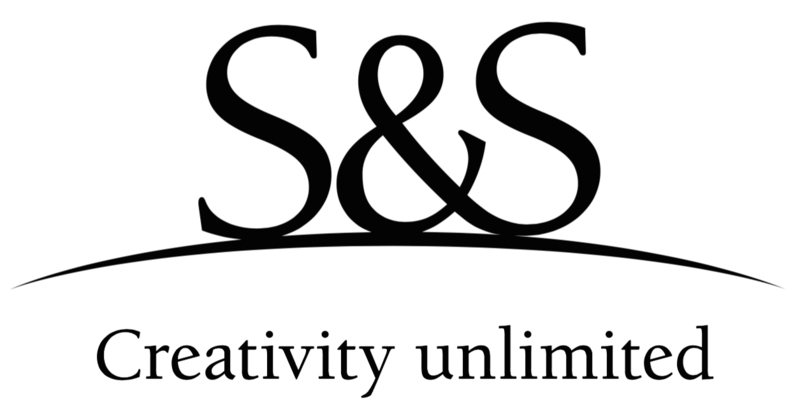 A comprehensive content driven textbook (320pgs) for the 2017 Studio Arts Study Design. 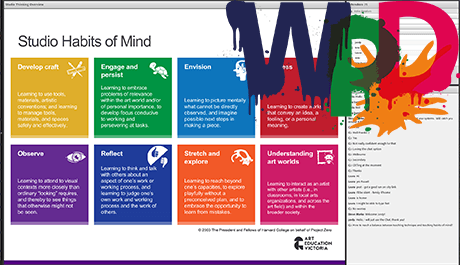 Clearly written, up to date and a quality resource for students and teachers. 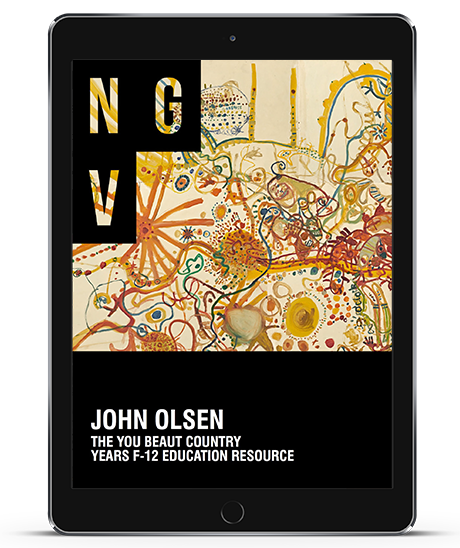 John Olsen: The You Beaut Country is a major exhibition offering an unparalleled opportunity to examine Olsen’s consummate place in Australian art history. 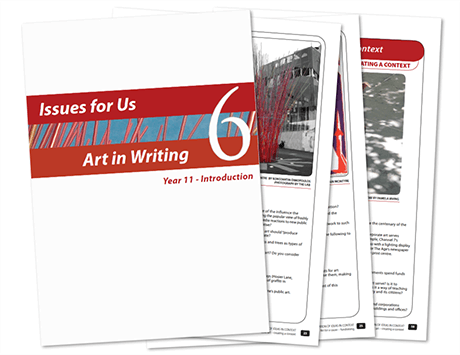 This education resource for teachers of years F-12 presents a range of lesson ideas, helpful links and support materials inspired by the work of one of Australia’s most iconic artists. 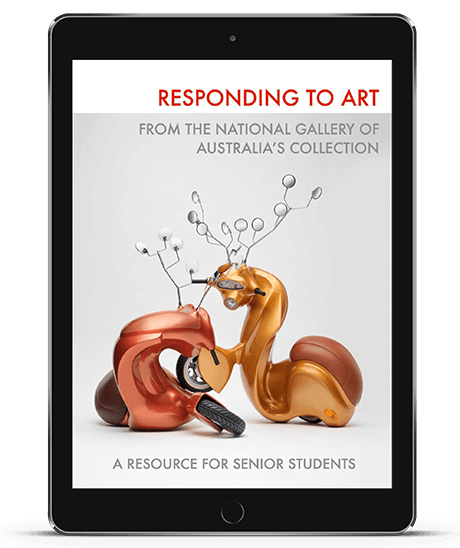 Responding to art from the National Gallery of Australia's Collection is a resource for senior secondary students investigating a variety of themes and issues in art. 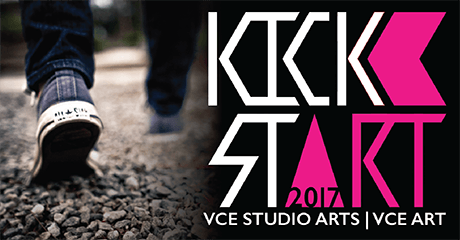 Kick StArt 2017 happened on 25 February 2017 at the National Gallery of Victoria. A video recording will be available soon. In the meantime, here are the handouts and activities for the sessions. In this session we look at approaches to ensure that students get a great exposure to the arts while making strong links to the curriculum. 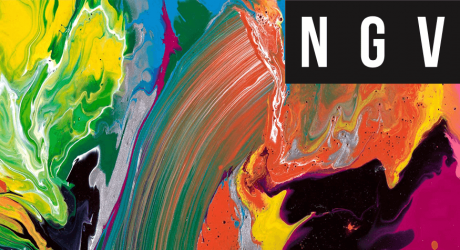 Find out more about the artists exhibiting in this years Top Arts. 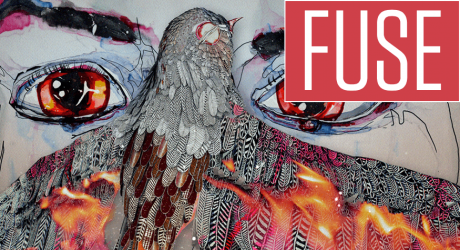 Watch videos of students talking about their art making and explore some sample folios. Sometimes you need a little help getting the ball rolling. 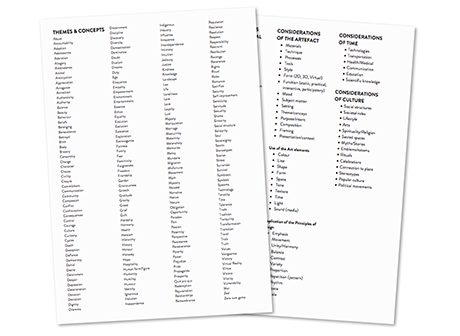 We've developed this juicy list of themes and concepts to help you out. 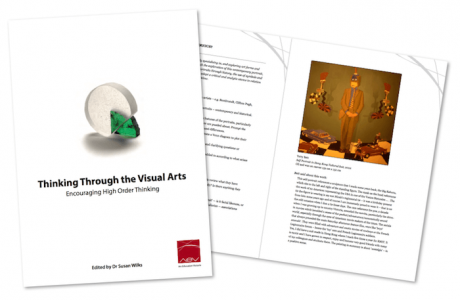 On the second page you'll find some considerations you might take when examining artworks including exploring artists and viewers. 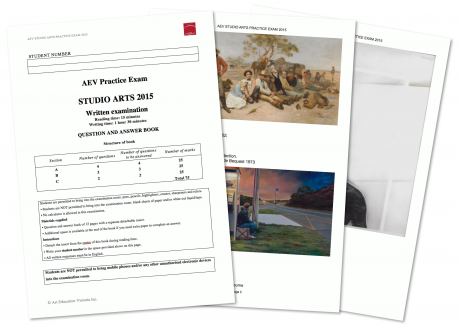 Prepare your students for the VCE Studio Arts exam with this practice paper. 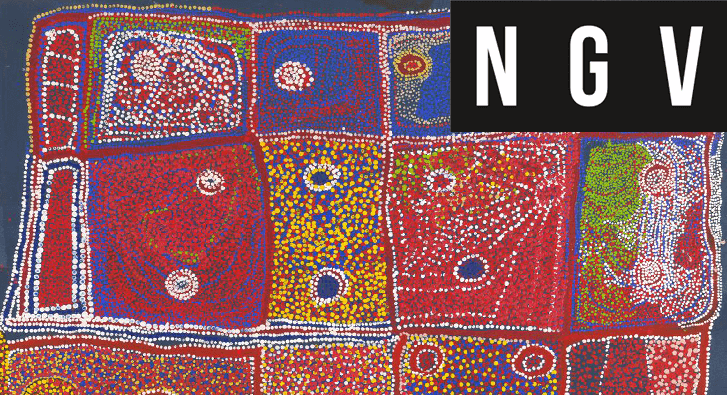 Tradition and Transformation: Indigenous Art in the NGV Collection brings the NGV’s extensive collection of Indigenous Australian art to Victorian schools via online and interactive technologies. 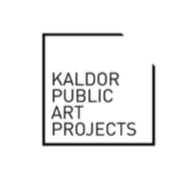 The resource includes detailed information on artists, their artworks and their communities, as well as stories, photographs, maps and videos. 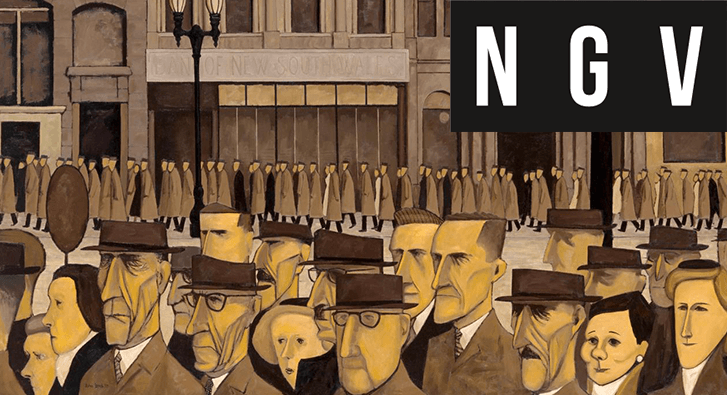 This education resource accompanies the retrospective exhibition John Brack (2009–2010) which surveyed the complete oeuvre of this acclaimed Australian artist and presented paintings and works on paper from every major series he produced. 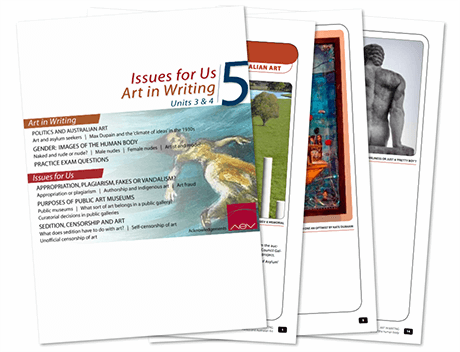 The resource features a 24-page guide with questions, learning activities, quotations and commentaries to support and model students’ responses. 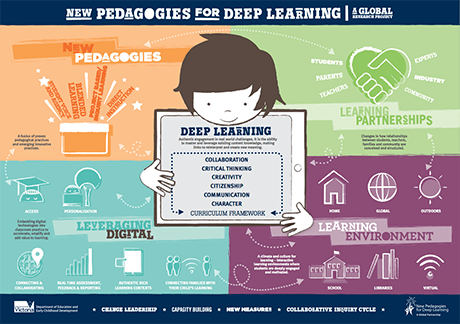 New Pedagogies for Deep Learning (NPDL) is a global partnership aiming to implement deep learning goals across whole education systems that are enabled by new pedagogies and accelerated by technology. 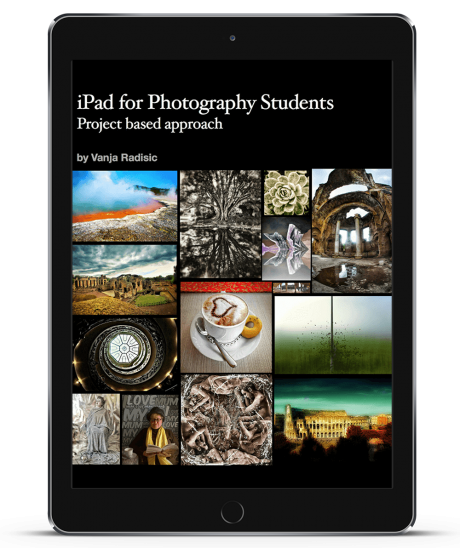 iPad for Photography Students is a step-by-step guide on how to use your iPad to capture and edit photographic images. Learn about the best and most affordable apps on the market and how to use them. 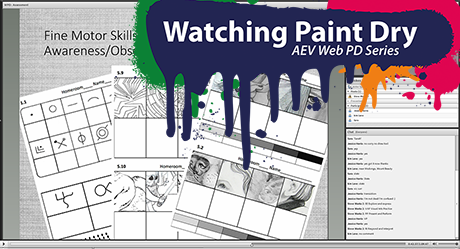 Our Life Member, Nicole Wassel uses an interactive virtual gallery space to engage students in creating art through digital media and promote dialogue about the ways in which students have chosen to express emotion in this ATSIL Illustration of Practice. 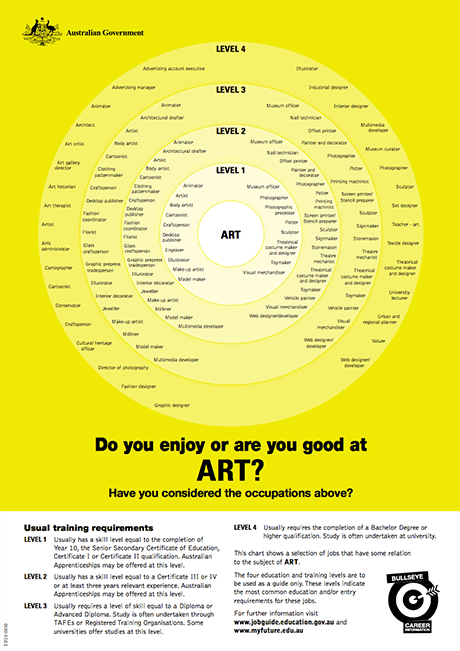 Help your students who enjoy art explore career options with the art bullseye posters. 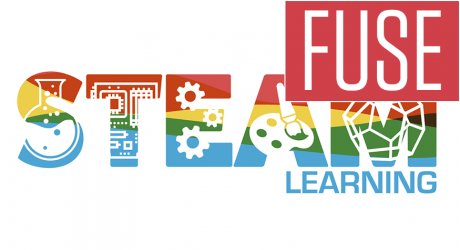 Wanting to keep up with STEAM Learning? 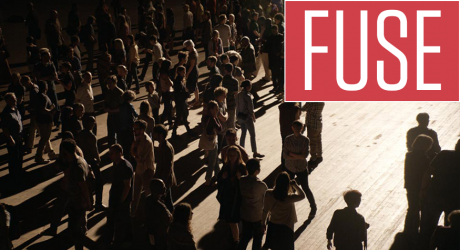 AEV has prepared this collection of resources on FUSE to help you understand and advocate for the Arts within STEM learning. Want to find out more about what your child is learning at school in each subject at each year level? Need practical tips about what you can do at home to help support your child’s education? A collection of resources that unpack the educational value of Philippe Parreno's exhibition Thereabouts at ACMI. 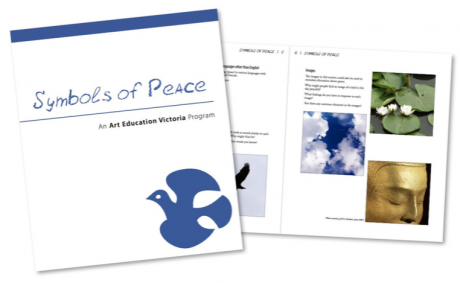 Provides a range of lesson ideas and discussion suggestions to support an inquiry into symbols and their use to encourage peacefulness across cultures. 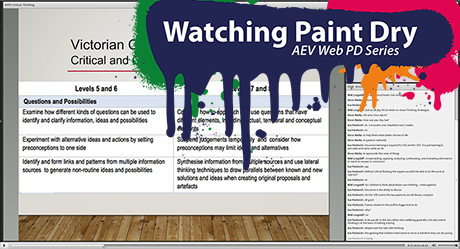 Comes with a table showing corresponding curriculum standards (VELS). 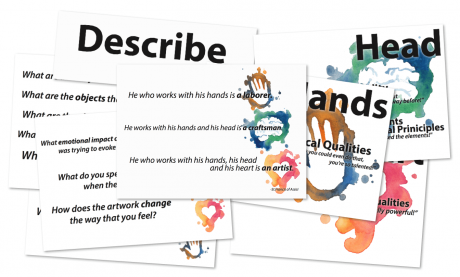 The Hands, Head, Heart Poster Set is a resource to help facilitate deeper discussion about artworks. 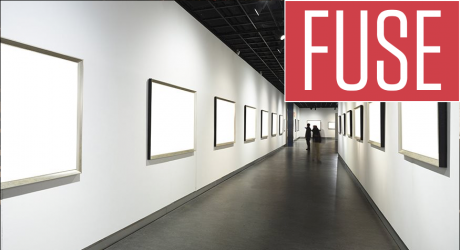 The posters form an array and allow you to follow a horizontal or vertical line or pick selectively depending on group size or time limits. 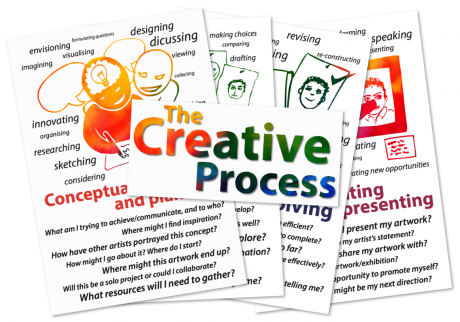 The Creative Process Poster Set is designed to assist students in developing independence with their practice. 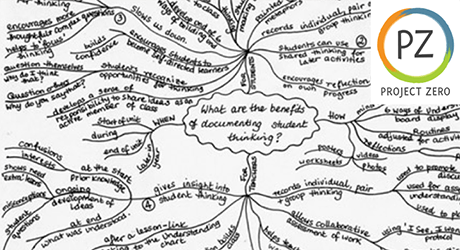 This could be used as a visual as is, or used as a guide to facilitate class discussions where students have voice and ownership over the display. A video snapshot of Chelsea Kneale being interviewed at the Bell Primary Biennale Arts Show. 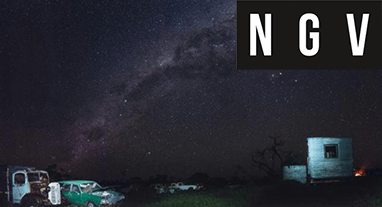 Support questions with resources for further reading have been provided. Using the teaching and learning cycle, this session explores different strategies and research based practices to support the development of creativity in our students. Hilary Senhanli from Inspiring Fun, writer and founder of The Visual Diary Guide was a guest presenter in the session. Using the teaching and learning cycle we will explore approaches and research based practices to support the development of critical thinking in our students. 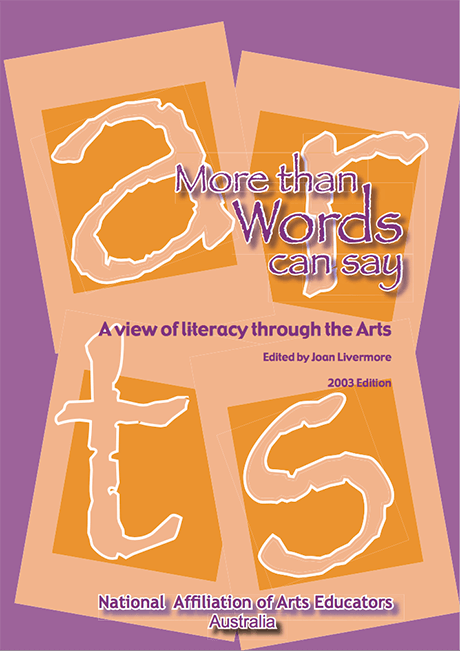 This is a collection of papers that attempt to define what is meant by ‘literacy’ in each of the art forms: dance, drama, media, music, visual art and design. The intention is to stimulate discussion amongst teachers and to raise awareness of the potential for the arts to enhance learning across the curriculum. 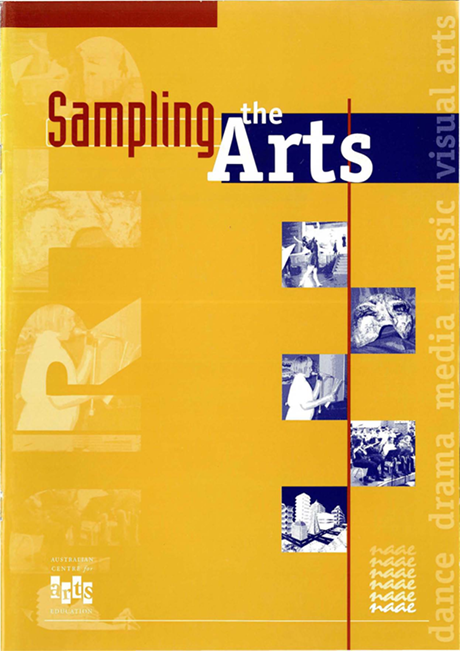 Sampling the Arts tells real-life stories of teachers which give insight into how they organised the learning experience for their students; how the students responded; how the teachers tackled the task of assessing levels of achievement. 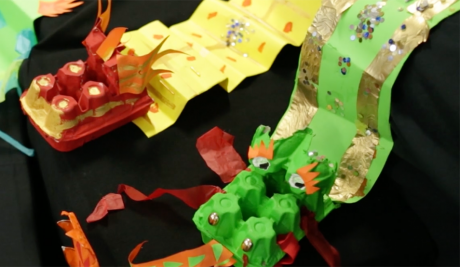 In this session we share learning experiences designed to help leverage the Intercultural Capability within the visual arts. 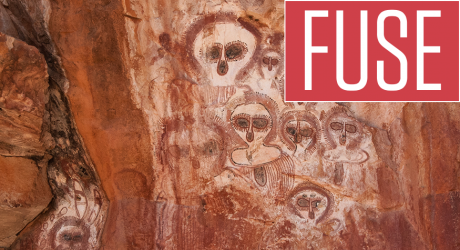 A package is curated by Art Education Victoria for exploring the diversity of our First Nations people with a range of culturally respectful, historically correct, student resources. 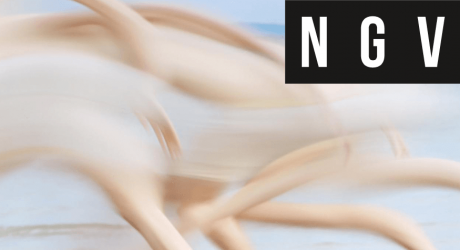 We've prepared this resource package to help you make the most of ACMI's magnificent 2016 exhibition The Nightingale and the Rose. 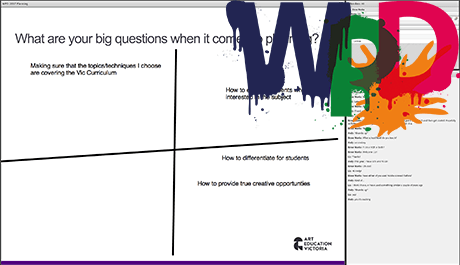 In this session we look at the online resources available to educators and consider how they might be used within the context of art education. 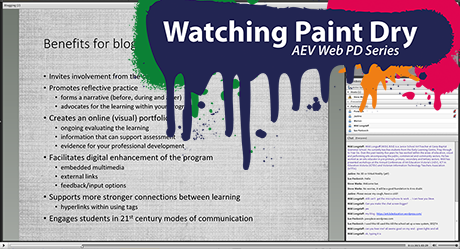 In this session we explore the benefits of using blogs and how as art educators we might use it within our settings. 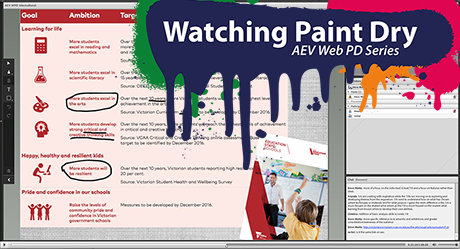 After the recent Watching Paint Dry Web PD session we've created this resource to help you make the most of the online galleries out there. 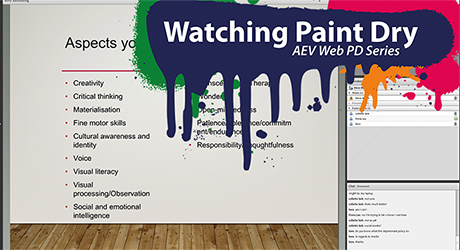 During this Watching Paint Dry session we explore the valuable aspects of the Visual Arts that we need to be promoting within our communities. 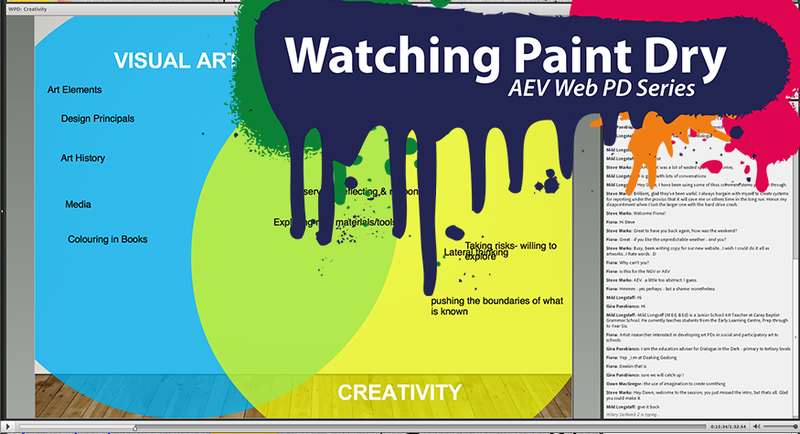 The second Watching Paint Dry session exploring the valuable aspects of the Visual Arts that we need to be promoting within our communities. 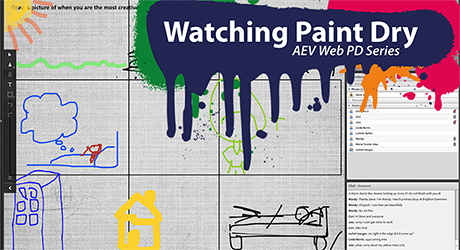 This Watching Paint Dry session explores how can we incorporate the Critical and Creative Thinking capacity into our educational settings. 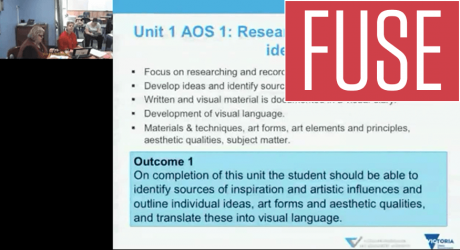 In this session we look at the Victorian Curriculum and consider a variety of methods that could be used for assessing visual arts. 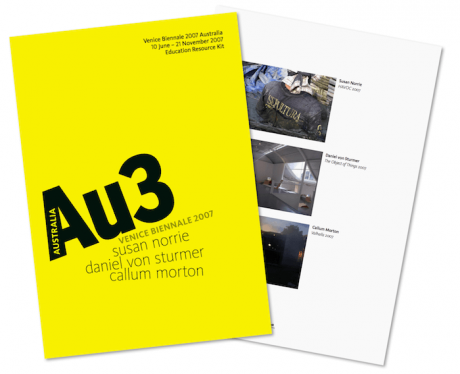 This education resource kit highlights key artworks, ideas and themes of Au3: the 3 artists, their 3 projects which are presented for the first time at 3 different sites that make up the exhibition of Australian artists at the Venice Biennale 10 June to 21 November 2007.